I’ve partnered with California Almonds on this post and all opinions are my own. 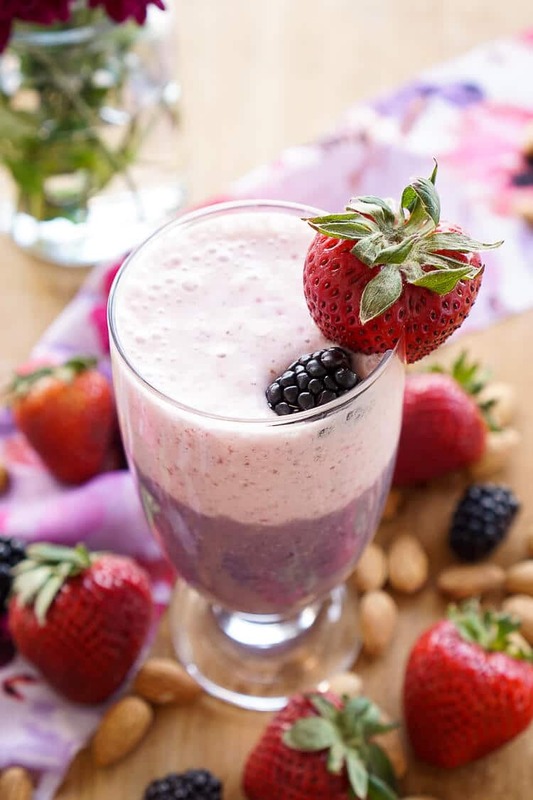 This Berry Almond Smoothie is loaded with flavor and protein for a wholesome morning start! This morning we flew home from San Francisco, California where we completed a train trip across the country. It was a journey unlike any I’ve ever taken, a unique and almost outdated way of travel, dotted with big city stops, breathtaking sights, and lots and lots of food! And where the food was good, I, of course, overindulged a bit in all the greasy, sweet stuff I could get my hands on! Now that I’m hoping and prepping to head back to Iceland in less than three weeks, it’s time to get my diet back in order and work towards rebuilding some of the energy and stamina I lost during the winter months. I’m planning to eat more of a plant-based diet in the coming weeks which means incorporating more vegetables, fruits, whole grains, and nuts into my daily meals. California Almonds will be making a strong appearance in my new routine since they’re packed with hunger-fighting protein, 6g for every ounce of nuts. 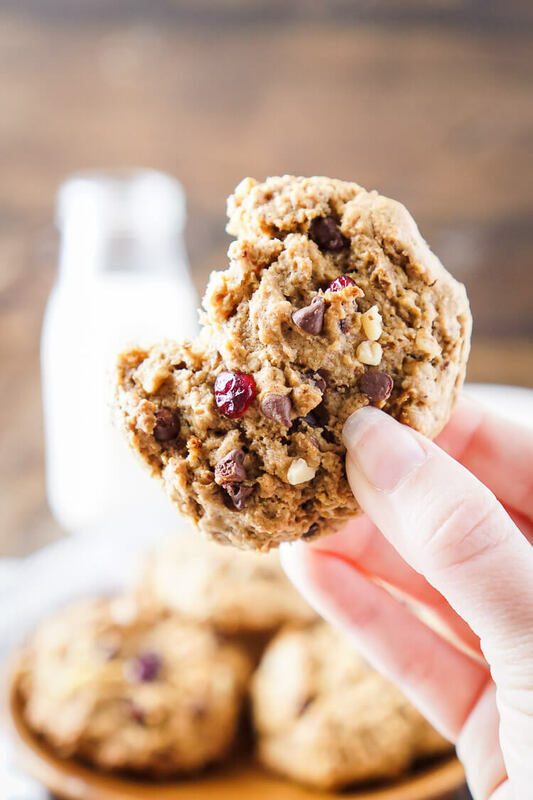 I love using California Almond Butter in my smoothies and sauces, and the nuts are the perfect addition to salads, crusting meat, and just for plain ole’ snacking! 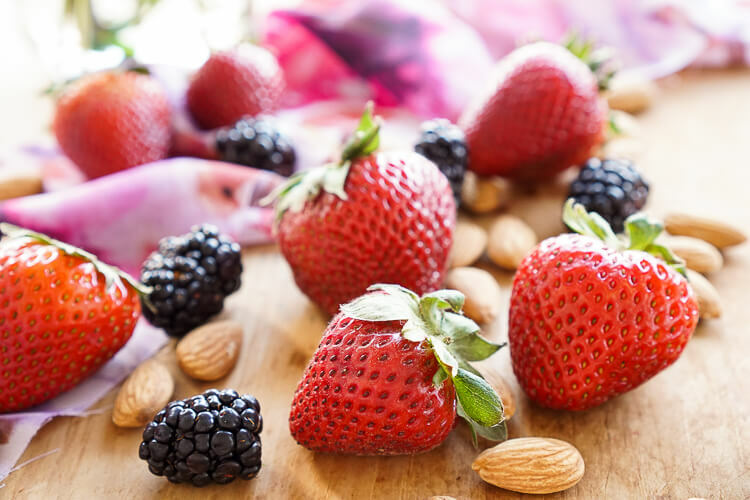 Science is converging about what to eat from a public health and environmental standpoint, with many academic and health institutions recommending a dietary pattern that focuses on plants and produce and minimizes food waste. Find out more about the health benefits of California Almonds and the importance of sustainable practices and plant-based protein at Almonds.com and check out their Plant-Based Meals Handout. 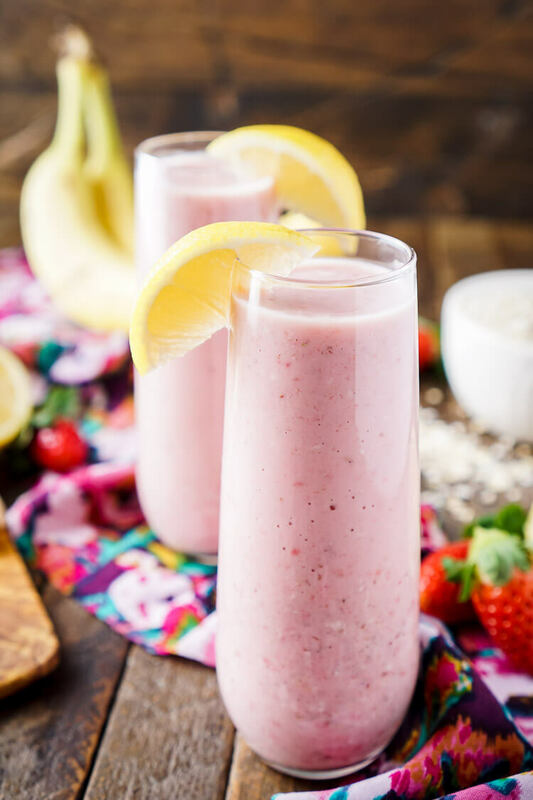 This smoothie is great for breakfast or snacking, it’s packed with plant-based ingredients for a wholesome start to your morning routine or a great afternoon treat. 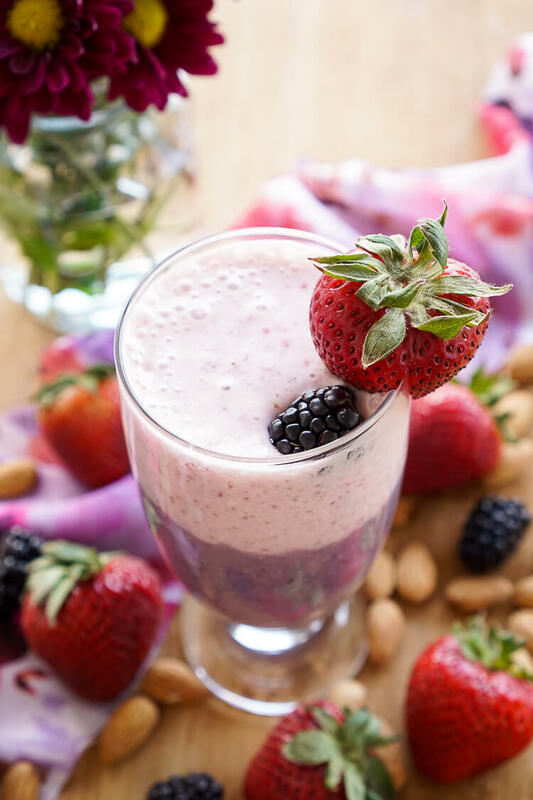 It’s made with fresh blackberries and strawberries for a ripe flavor, while the California Almond Butter, almond milk, and cottage cheese lend to the protein side of things! Add in a little flax meal for good measure and a little agave syrup to sweeten things up and we’re in business! 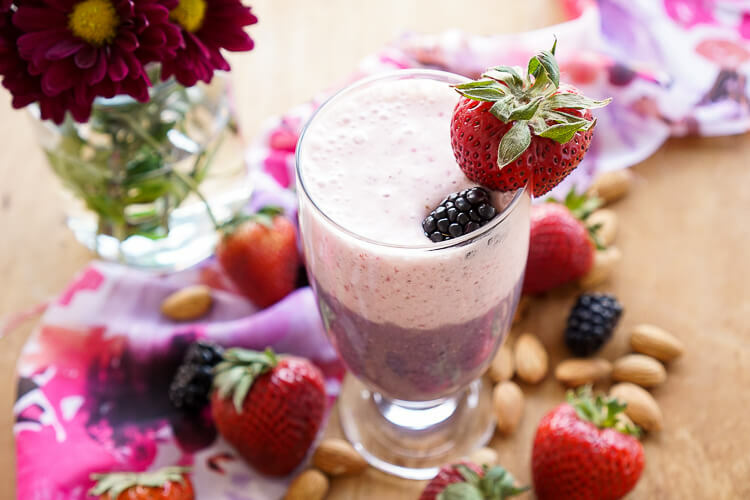 You can make this smoothie two ways, two-tone or one. For one, add all ingredients to a blender and pulse until creamy, pour and enjoy. 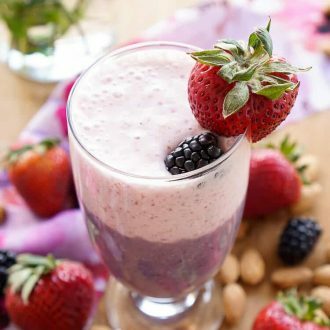 For two-tone, add blackberries and half of all the ingredients except for the strawberries to a blender and pulse until smooth, pour into a glass and add remaining ingredients to the blender and repeat. 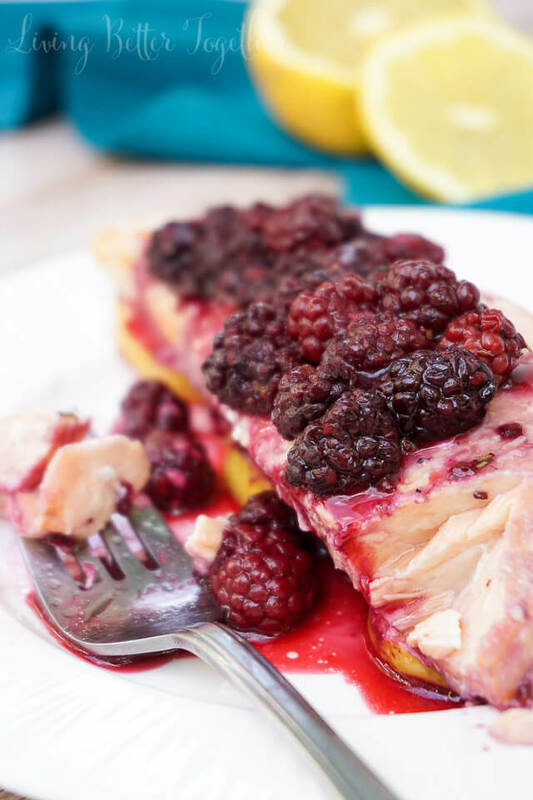 You'll have a blackberry layer and a strawberry layer. Be sure to follow California Almonds on social via Facebook, Twitter, Instagram, Pinterest and the California Almonds blog for the newest recipes, news about almonds and information on sustainability! I love the layered look. So pretty and healthy too! Thank you so much, Roxana! I’ve really been loving layered smoothies too, it’s like two flavors in one!